On the wall of a gallery in Limerick is a painted garland of flowers. There's creeping buttercup, water mint, Irish lady's tresses, bog asphodel, cuckoo flowers and more. They twine and weave in the shape of the River Shannon, becoming bleached out as they reach the part representing the Parteen Basin. While all are to be found along the Shannon's path, not all are native. For example, the Canadian pitcher plant is there, a foreigner, now resident. Next door, 100 blue-green paintings flock the walls with birds. Blackcap, whitethroat, warblers, lapwings, redwings, green finches and song thrush swoop and dive. Look closely and you might even spot an elusive corncrake. As with their neighbouring flowers, not all are native, some are just passing through. For artist Gabhann Dunne, the two pieces are connected. "I wanted to do something about migrating birds. I'd been reading about them and the problems they had," he says. "It's the same with people crossing the Mediterranean and the dangers they face. I was looking at something in between air and water," he continues. "The two are closely associated. They're how things come in to this country." 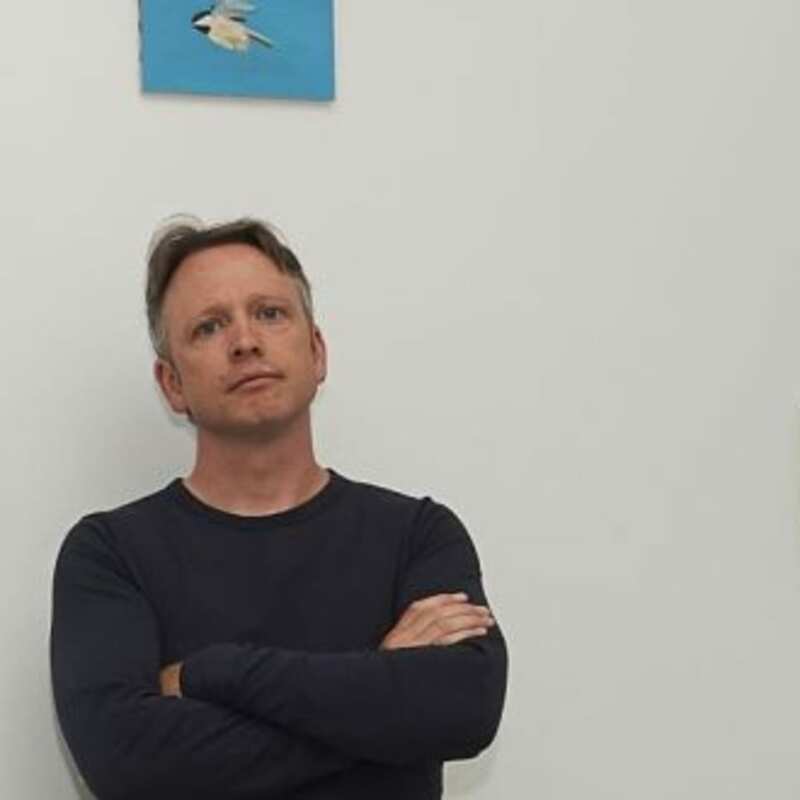 With blue eyes, and boyish looks, despite his salt-and-pepper hair, many people will know Dunne for his role on RTÉ's Painting the Nation series, which he co-judged with fellow artist Una Sealy. "That was great fun to do," he recalls, though what he particularly loved was the conversations it started, people coming up to him, offering opinions on art, telling him about their own work. "You're wanting to create an idea of a younger generation that feel the gallery is a place they can own. Somewhere they can go in. That it's okay to talk about it, that you don't just have to look, feel embarrassed and look away. It's okay to have an opinion, and for others to have a different opinion." Opinion on his own beautifully made paintings is pretty clear. Looking at the way he can create the idea of a bird with a few strokes of well-placed oil paint is a joy. "Yes, you can try to spot birds in the paintings," he agrees. "But you can't really, as some are blurred - they're abstractions. We don't really see birds unless they're dead, resting or flying. We only see them as moments." Dunne's mother was a nurse. "She also did watercolours. Our garden was like a great herd of Latin names. She'd know the names of everything, how names hinted the character of a plant. It makes you look," he says. His father was a radio producer, who worked on the Gerry Ryan Show. "He had a real ability for what they would have called low and high culture. He would know about birds and animals, and an obscure Irish poem from the 8th century. An odd mix. Growing up, I was exposed to loads of culture." An intelligent thinker and an engaging speaker, Dunne is generous with his ideas, and passionate about his subjects. But what he's really looking at, when he's looking at flowers and birds, is Ireland: it's history, environment, climate, the migration of peoples, animals and objects. "When we read things we analyse them differently," he says. "We look at them as lines. Painting is a more ambient way of looking at things." Looking at Dunne's paintings, ideas do coalesce. There's the drying-out of the Shannon, and the fading of the flowers. "Taking water from the Shannon is probably the cheapest option," he says of current plans. "But desalination is the best. When I was painting the show, the falls on the Shannon had dried up to a trickle. They don't think of the damage they could do to this defining river of Ireland - it's not in their mindset. Dublin is commandeering this river because it needs to grow bigger," he continues. "A business will always choose the shortest line, that's the economic way of thinking, and it has to change." 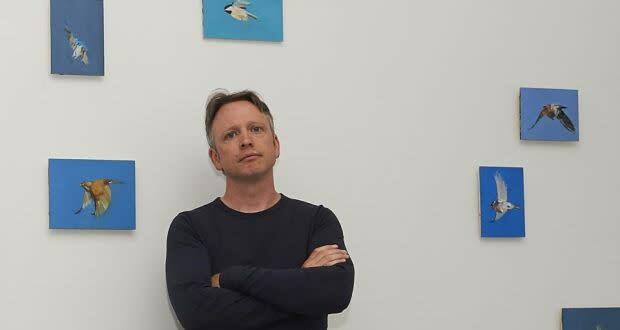 It was painting that brought the Cavan-born, and now Dublin-based artist to this way of thinking. "So much of painting is the failure of the idea you're currently working on, then moving to the next, it's a stepping stone way of thinking, rather than the academic way of going from plateau to plateau." What's engaging him now is the way we think of ourselves, either as, erroneously, "purely" Irish or, more factually, hybrid. "The environment is historically how we defined ourselves," he says. "And if we don't keep connected to that environment, we lose the connection with ourselves." In the exhibition is a painting of a hyena jaw, that was discovered at Castlepool Cave in Co Cork. "We have no connection to the hyena, but it once inhabited our space," he says. "I tried to paint a hyena, but he looked really rubbish," he adds disarmingly. "But it's still the exact same animal that's in North Africa. Everything migrates, it always has done." Elsewhere is a painting of an Inuit canoe that is said to have washed up on the coast of Ireland, as well as a beach house that landed from Nova Scotia, practically intact. Dunne thrives on such stories. Recently, on holiday in Ballybunion, the artist watched crows at play. "There's a joy of aerial movement," he says. "Living in a city, you have no horizon. This gave me a horizon. I wanted to locate the exhibition in Ireland, but it not be that Ireland that people see as having borders. I wanted it to be about the things that come into this island, and define this country, that have defined it for centuries," he says conclusively.